When Tore Henriksen’s father was diagnosed with Parkinson’s he says his whole family was stunned by the news. As they began to understand the disease though, his viewpoint became more optimistic. As a way of taking action against the disease Heino, Tore’s father, got involved with the Danish Parkinson’s Association and was elected soon after to the board of directors, heading up the organisation of the Copenhagen Parkinson Unity Walk in Denmark. The slogan of the event – ‘exercise is medicine’ – is a simple but revolutionary statement that encapsulates both the philosophy of the Unity Walk in Denmark and also the personal motto of Heino and Tore. The walk aims to get many people with Parkinson’s involved and active, which in turn helps improve some of their symptoms. Tore witnessed his father’s response to the diagnosis and was inspired to do something active himself to support the cause. 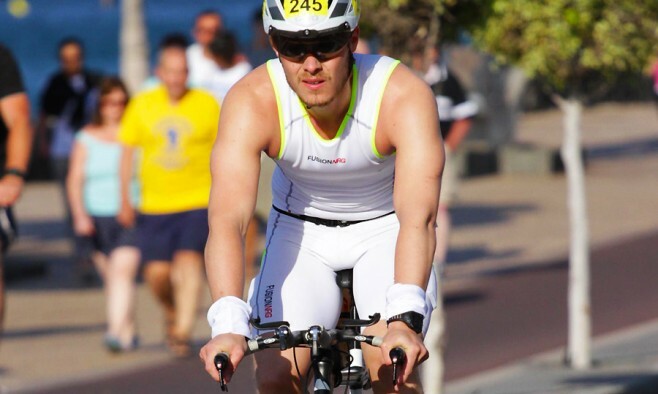 He chose to take part in the gruelling Lanzarote Ironman – often seen as the ultimate test of endurance – which comprises a 3.8km swim, a 180km cycle and a 42km run, all in order to raise awareness of the disease and sponsorship for research. The race was on 23 May and Tore finished in an impressive time of 15:51:55.